3 Bedroom End of Terrace House For Sale in Torquay for Guide Price £235,000. A very desirable and beautifully presented end of terrace house located in the popular area of the Willows. 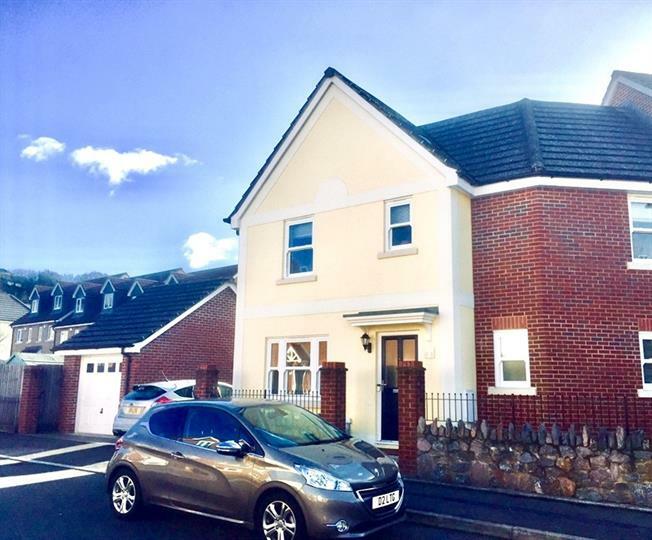 The accommodation comprises of entrance hall, living room, kitchen/diner and downstairs WC to the ground floor with master en suite, two further bedrooms and a family bathroom on the first floor. The property also benefits from a level garden, off road parking and a garage. An internal viewing comes highly recommended to appreciate the standard of accommodation on offer. Double glazed obscure glass front door with storm porch over. Double glazed uPVC window with obscure glass. Radiator, vinyl flooring and ceiling light. Low level WC and wash hand basin. UPVC double glazed patio doors opening onto the patio and garden. Double glazed uPVC window over looking the front. Radiator, carpeted flooring and ceiling light. Under stair storage cupboard housing the boiler. UPVC double glazed window overlooking the garden. Radiator, carpeted flooring and ceiling light. Doors to all bedrooms and family bathroom. UPVC double glazed window with obscure glass. Radiator, vinyl flooring and ceiling light. Single enclosure shower, low level WC, wash hand basin and shaver point. Double glazed uPVC window to front. Radiator, carpeted flooring and ceiling light. Double glazed uPVC window. Radiator, carpeted flooring and ceiling light. Double glazed uPVC window with obscure glass. Radiator, vinyl flooring, built-in storage cupboard and ceiling light. Low level WC, roll top bath with mixer tap and shower over bath, wash hand basin, extractor fan and shaving point.